Have you ever slept in an outdoor hanging daybed? Relaxing under the stars in cozy-comfort creates a feeling of pure bliss. 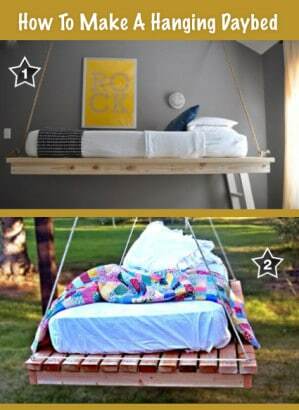 And that same sensation can be simulated indoors as well with a hanging daybed. All you need are the glow-in-the-dark stars on the ceiling.